The Bosnian paradigm is positioned in this essay in a manner diametrically opposite to current prevailing perceptions of Bosnia and Herzegovina. We seek to provide a proper response to the current situation and the central issue: Are we to focus on our differences, or on what we have in common in Bosnia? It is my intention to demonstrate that this is not the true face of traditional Bosnia, but that the Bosnian tradition, rightly understood, can serve as a model not only of, but also for inter-religious relations in Europe and the world at large. As a result, I not only adhere to, but resolutely promote the idea of Bosnia as a microcosm – a paradigm – of world relations over the centuries, or as shedding light on the context of evolving cultural pluralism. In this regard, the war waged from 1992 to 1995 between competing ethno-religious particularisms, styled the “war against Bosnia,” which is just euphemism for what’s happened, is only its Frankenstein appearance. Support for the Bosnian model and paradigm is thus not only a question of choice, but one that makes up or breaks up the image of the modern world, enhancing or undermining our confidence in the unity of that world. Unfortunately, given the world’s tunnel vision and the herd instinct that has characterized this part of the world over the past fifteen years or so, along with the absence of any genuinely critical spirit or open, critically structured mode of thought, relevant literature and periodicals in this field, we are facing a situation in which grotesque criteria have been set that are entirely foreign to the Bosnian identity: “standards” of a depraved nature far from what one would hope might be the rule nowadays. 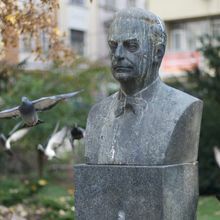 However, the link between education and philosophy is certainly not limited only to the western tradition, and in this regard Bosnia and Herzegovina, which has for centuries – indeed, for a millennium and more – been a natural bridge between East and West, could play a crucial part, particularly on account of its Islamic component and an honest interpretation of Islam in the EU. However, like the rest of the world we are going through a crisis of value orientation, and the question now is what stance we should adopt towards the social complexities of the globalized world. As I see it on the basis of my best insights into this matter, in this age of conflictual relations between differing world views, it is nonetheless a propitious moment increasingly to reach for Rumi’s model of thought, since he stands for what is common ground for all of us in holding dialogue and extensive mutual understanding, creating a promising cross-cultural dimension not only in Bosnia and Herzegovina, but also world wide. Over and over again, the words of this Muslim genius instil hope in us in these dark times in which we are living. First, we need Rumi’s ney (the reed flute) to distract attention from the ever-louder beating of the drums announcing the supposedly inevitable clash of civilizations, and once again to illumine the relationships between human beings in this global world of ours. For every word that came from his lips is filled with love and the desire for peace, since he speaks straight to the heart, transcending all boundaries of time and space. Even now, eight centuries after his birth, Rumi is still building bridges of understanding between the Islamic world and the West, and his work is a shared foundation for coherent dialogue and sustainable peace. It would turn on the axis of my hayhāt. For Rumi, in fact, every human being is an index of the entire universe: he believed that the human being is the microcosmos of the macrocosmos. It should be noted that this doctrine was expressed at a time when the Mongol terror was ruling the world, and it was in such times that this man emerged, to breathe into people’s ears the song of life, the meaning of eternity, and the evidence of existence. It was a principle of love as communication with the truth, a call for peace and unity, which is the slogan of today’s globalization processes. Indeed, like Eva de Vitray Meyerovitch, I am now deeply convinced that authentic Islam may best be presented to the West through Rumi’s teachings and philosophy. In Europe, and in particular over the past thirty years or so in the United States, the universal dimension of Mawlana’s message is always emphasized through his teachings of the universality of Islam. He advocated pluralism and drew attention to the beauty of diversity without undermining the essence of the religious tradition to which he belonged, a point that is worthy of underlining in this age of U-turned Islam. Furthermore, any religious community (and not only the Muslim umma) that disapproves of unity in diversity and diversity in unity will lapse into fundamentalism, whereas the true response to this contrast lies in fact in the recognition of the equality of all and the realization that we are all equally helpless before God. Mawlana, then, demonstrated that religious belief and democracy may be complementary, and it is this critical pedagogy of his of which we are in such desperate need today, and not only in Bosnia and Herzegovina, as we continue to advance and evolve the democratic process. With this doctrine of his he touches every rational soul, yet it is abundantly clear that it derives from the profound notion of tawhīd, since Rumi did not construct his theology of tolerance and inclusive spirituality by departing from traditional Islam, but by immersing himself deeply in it. Bosnia and Herzegovina has long been heir to the tradition of this kind of universalist, inclusivist education and upbringing on the tenets of Rumi’s openness and philosophy of Love, where Love has metaphysical and ontological status. 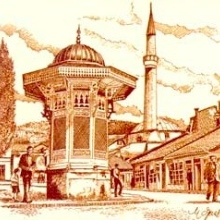 For instance, the first Mevlevi tekke, built by Isa-beg Ishaković at Bentbaša in Sarajevo, was founded as long ago as 1462. The authentic, indigenous Islamic component has thus always been imbued with the tenets of teachings in line with a global civilization of love and peace, which is our present-day idea of modern and postmodern education – despite the obstacles we encounter on our path at this time. The point is whether you focus more on similarities or on differences. If one emphasizes and insists on differences, which certainly exist – it would be unreasonable to deny it – there really is no chance of hearing one another and of constructive action, since in this frame of mind one is more inclined to pick up the worm-eaten fruit that long since fell from the Abrahamic monotheistic tree common to Judaism, both eastern and western Christianity and Islam; instead of plucking the succulent fruits from the tree itself, they cling to its broken branches. 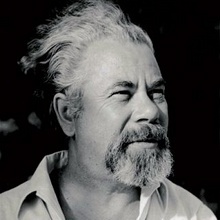 If, on the other hand, you are more concerned with similarities, of which there are far more than there are differences, particularly in Bosnia and Herzegovina, you go beyond those differences and avoid the insanity of the present reciprocalities, the national folly of the cult of ethnicity, national parochialisms and the tunnel vision image of the world that has been with us since Dayton, the most blatant expression of which is now the ghetto-school – two schools under a single roof, on the pretext of preserving the pupils’ national identity. At the same time, these same champions of their own ethnos do little or nothing to preserve and present in the proper manner that which is truly of value in their tradition, making it absolutely plain that it is a matter of nothing more than ideological dictate.